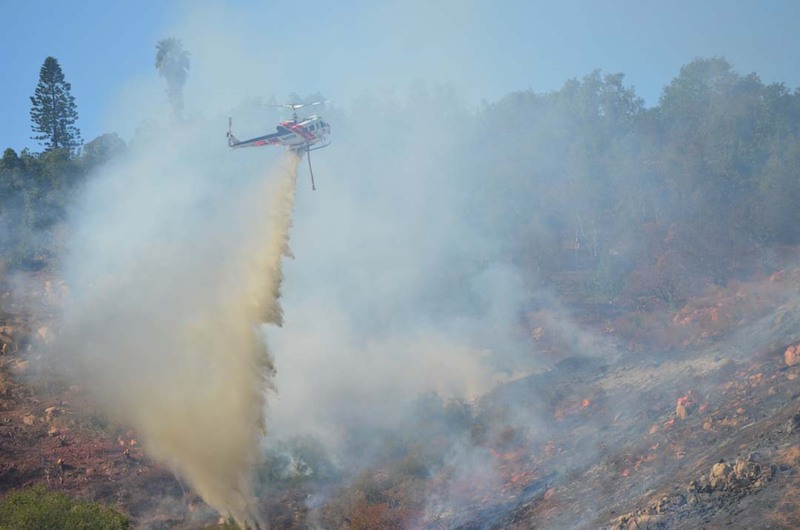 ESCONDIDO — A brush fire off of Interstate-15 past Gopher Canyon Road had shut down the both sides of the freeway on Sunday as Cal Fire and other fire departments fought the blaze. 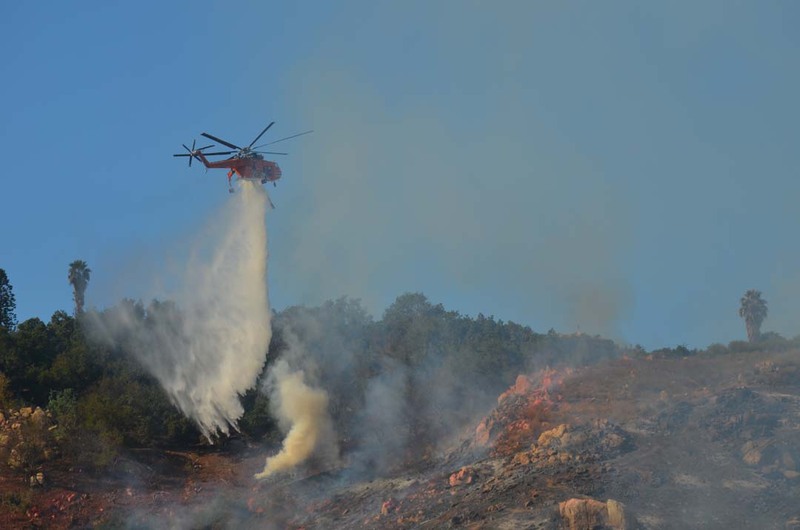 The Gopher Fire, which began around 11 a.m., was listed as having burned 28 acres and was now 100 percent contained as of Monday evening. One firefighter sustained a shoulder injury while fighting the blaze, according to Cal Fire Capt. Kendal Bortisser. The firefighter was treated at a local hospital and then released. Both sides of the interstate were closed to travelers on Sunday. Those heading south on I-15 were being diverted off the interstate at Old Highway 395. All lanes of the Interstate were reopened by Monday afternoon. 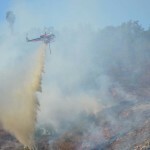 At least three water-dropping helicopters helped to put down the flames, including SDG&E’s Erickson S-64 Aircrane. 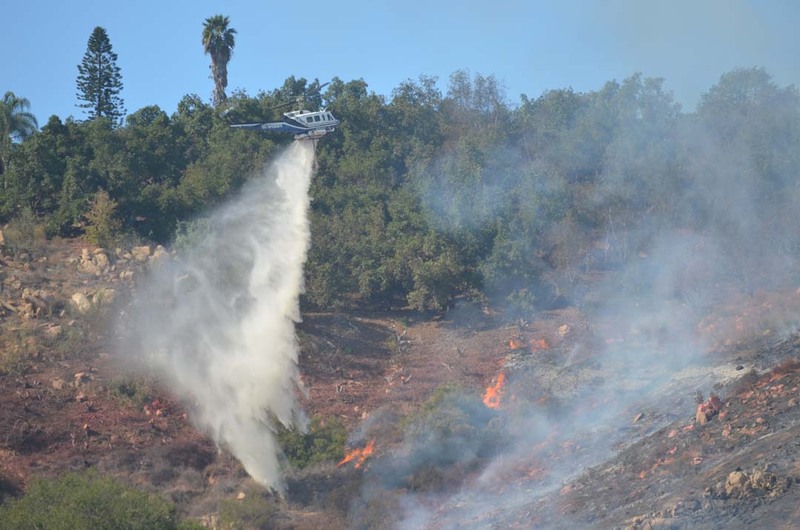 Cal Fire air tankers also made several drops of fire retardant on the hillside. Flames had threatened five homes before firefighters were able to gain a handle on the blaze. 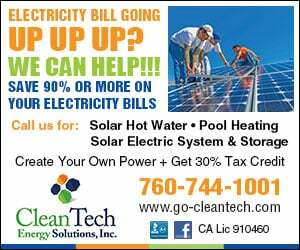 According to SDG&E, 363 residents lost power during the fire along portions of Twin Oaks, Lawrence Welk, Hidden Meadows South, and on Lilac, Castle Creek, Bonsai, Camino Del Rey Downs and Gopher Canyon. 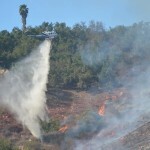 The loss of power was due to the fire, according to SDG&E. Another fire, also named the Gopher Fire, back on Aug. 11 burned 35 acres before it was contained. Bortisser said that fire was caused by a vehicle. The investigation into the latest fire is ongoing.